One of my favourite philosophers, Schopenhauer is especially interesting for writers because he has a cogent Aesthetics and addresses writing specifically, which few other philosophers do. For instance, he declares that there are three kinds of author. The first are those who write without thinking; this is the largest group. Who can doubt this, even among writers of so-called literary fiction? Most tell stories merely for the sake of it, so as to “express themselves.” The second group consists of those who think while writing, in order to write. These too are common, according to him. Lastly, there are those authors who think before writing, and write because they have thought. Rare, says Schopenhauer. If I am honest with myself, I must admit that hitherto I have belonged to the first group, or latterly, the second–at least I hope I am not a non-thinker! I am doing my best to become a member of the third group. Even the writers who have thought, Schopenhauer continues, have mostly only thought about books, in other words have merely digested and pondered others’ ideas. Few have thought for themselves. This is as true in literature as it is in philosophy. 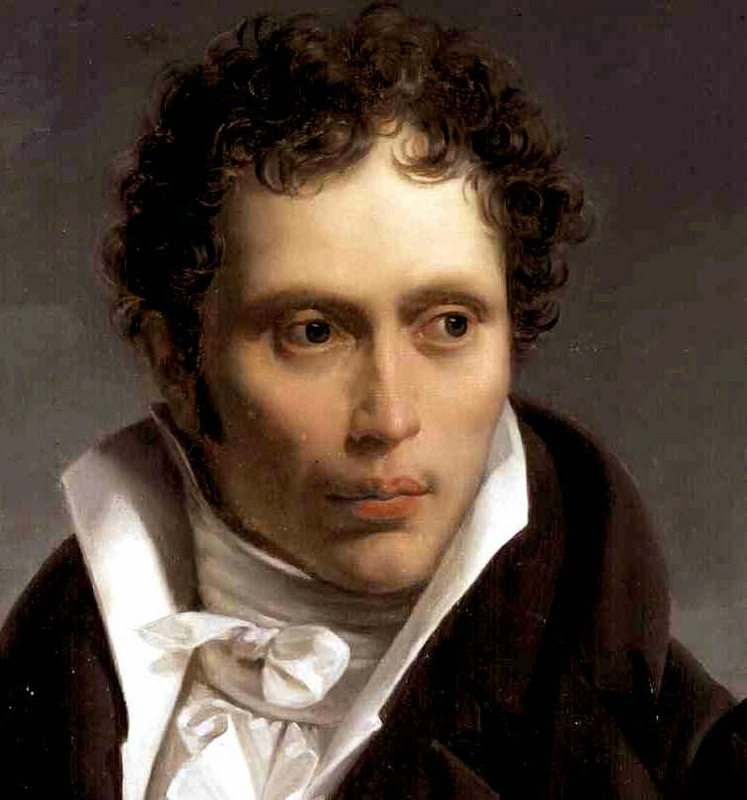 What does Schopenhauer, who was himself a very readable writer, have to say about style? It is akin to a physiognomy of the mind, he declares. What an apt metaphor. Consider Hemingway, whose simple, direct, punchy sentences mimic and reveal his assertive, indeed pugilistic, personality. Or Conrad, whose long, lush, imagistic sentences indicate a character at once complex and romantic, contemplative and sensitive. How about Chekhov? His periods are precise and penetrating–as sharp and yet as compassionate as the gaze of a doctor, which of course he was. “Stylistic affectation”, Schopenhauer drily remarks, might be likened to “pulling faces.” Gertrude Stein. Barthelme, Barth, Gass (and indeed most of the American postmoderns.) Early Julian Barnes. The first rule of good style, Schopenhauer pronounces, is to have something to say. Amen! (Indeed the epigraph on my website, a quote from John Fowles, asserts the same thing.) How many dull books would we be spared, if this were heeded! How many authors write–or drivel, really, like infants senselessly babbling–merely because some idiot teacher once assured them that they should because, you know, everyone is special and “the world needs your novel”, in the fatuous phrase of NaNoWriMo, that apotheosis of unnecessary novels, in which merely to have written is deemed a success, whether the writing is nonsense or not. No–the world does not need your novel, unless it’s a good one. We are being swept away and drowned in a tsunami of vacuous, sloppily written novels. (On these, Schopenhauer again: “He [sic] who writes carelessly makes… the confession that he himself does not place any great value on his thoughts.”) This is apparent not only in much sophomore work, but even in that of many successful writers. Incidentally, Schopenhauer also believes that good writers write clearly, and that vagueness of expression is always a sign of vagueness of thought. Too true. Write, then, by all means–but don’t present a heap of garbage to the public and then claim it’s sculpture. Develop a critical faculty. Show the world your best work. Burn the rest. And don’t labour under the illusion that successful books must perforce be good ones. As Schopenhauer acidly comments, “he who writes for fools always finds a large public.” A necessary condition for reading good books, he observes, is not to read bad ones, as life is too short for that. Amen again. Interestingly, Schopenhauer has counsel for the editors of literary magazines. These should be a dam against “the ever-rising flood of bad… books,” he tells us. They should mercilessly scourge the work of the incompetent, instead of all patting one another on the back, out of self-interest. It’s remarkable how little has changed in more than a hundred and fifty years. Schopenhauer was himself rather merciless and dyspeptic, as perhaps this brief essay demonstrates, and as might be expected of the most famous pessimist in the history of philosophy, who held a low opinion of human beings’ intelligence and ethics. So whom did he admire? The three great Greek tragedians, Aeschylus, Sophocles and Euripides; Shakespeare, whom he considered peerless; Goethe. Impeccable taste, then? Surprisingly, he also lauds Jean Paul and Sir Walter Scott–at least this surprises me, because they were Romantics. Possibly he concealed the softer side of his personality? Let me leave you, in this age of “building platforms” and self-promotion, of writers who charge tens of thousands of dollars for a public appearance, of authors who declare themselves “entrepreneurs”, which is to say businessmen and women, of the corporate literary culture exemplified by AWP and the NYC cliques–with a final Schopenhauerian dictum: “every writer writes badly as soon as he starts writing for gain”. I wish that Schopenhauer’s ferocious honesty and his integrity were more apparent in the literary world nowadays. In America, particularly, the spirit of capitalism even infects art. Or has it always been thus? Schopenhauer, Arthur. Trans. R.J. Hollingdale. Essays and Aphorisms. London: Penguin Books, 1970. Print.